A third of the way through this bowl of MacBaren Symphony in a mid-70s slight bend black sandblasted English Rustic 120 billiard. Almost finished smoking Vincent Manil La Brumeuse Semois in a straight 2012 MM Pony Express cob. 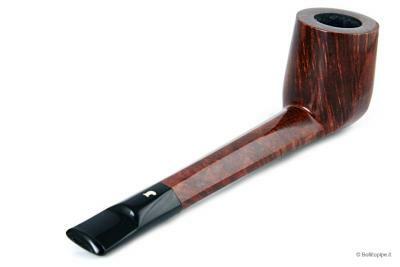 A minutes or two away from smoking Amphora Full Aroma (Red) in a 1970s smooth GBD 9665 slight bend with a rough top. Good morning from Athens, nice to see you again.I will post soon some photos from my vacations. Torben Dansk No 13 Cappuccino - Fallion [the band is modified]. Jim’s C Blend in an early smooth Radice Tiger Eye G medium bend pipe with a bamboo-style carving on the shank. Simply Orange is my drink. Just finishing this bowl of MacBaren Virginia #1 in a late '90s half smooth/half etched freehand sitter, medium bend Nielsen Viggo. 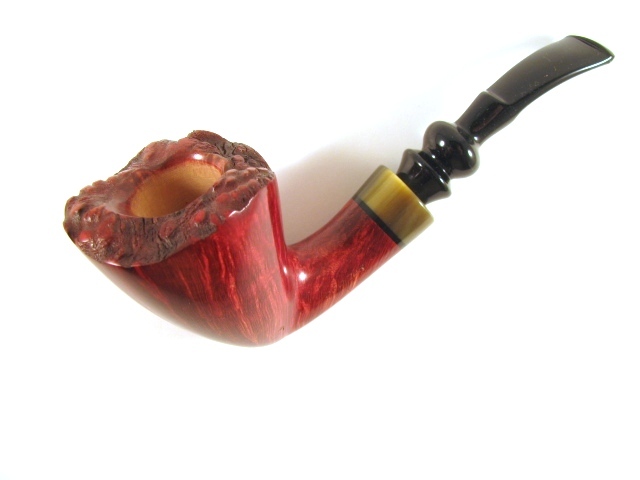 McClelland Easy Street in a 2002 IMP smooth full bend egg shaped meer. H&H white knight in a Jessie Jones rhodie. 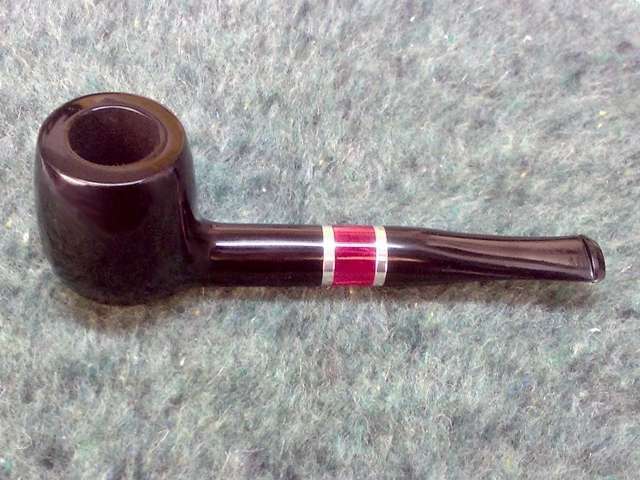 University Flake in a 1980 Stanwell 668 medium bend with a ferrule, half black sandblasted, half brown smooth, rough top. A couple minutes or so away from smoking Dan Tobacco London 250 in a 1990s smooth Peterson Captain Pete XL80 bulldog. Not far from finishing this bowl of Jim's Va/Bur in a 2015 Basil Meadows smooth straight thin shank and stem with an aluminum band Bing Crosby Merchant Service replica. A can of delicious Hansen's Creamy Root Beer made with pure cane sugar is my drink. Heine's Blend in a 2013 medium bend Spillproof corndog cob. About a third of the way through this bowl of St. James Flake in a 1986 three quarter bend Bacchus face CAO meer. Couple minutes away from smoking C&D Small Batch Straight Up English in a 2002 Ser Jacopo Delecta Fatta A Mano R1 sandblast Rhodesian with a smooth extension at the shank. This will finish the sample pack. Earlier some Yorktown in a MM Cobbit Shire. Now, some Froggie on the Town in an 80's Peterson Sherlock Holmes bent bulldog. Almost finished smoking C&D Kickin’ Chicken in an early 1930s smooth straight Super Grain Kaywoodie Synchrostem Canadian 5129. Almost finished smoking Old Dark Fired in a 1970s GBD Prehistoric Rhodesian 9438 with a perspex stem. I did finish work though!